Dr. Pace currently serves as Associate Professor of Preaching and Pastoral Ministry, Associate Director of the Center for Preaching and Pastoral Ministry, and the Director of the Hunt Scholars Program. His ministry as a pastor has extended almost 20 years in a variety of full-time and interim capacities through three states. 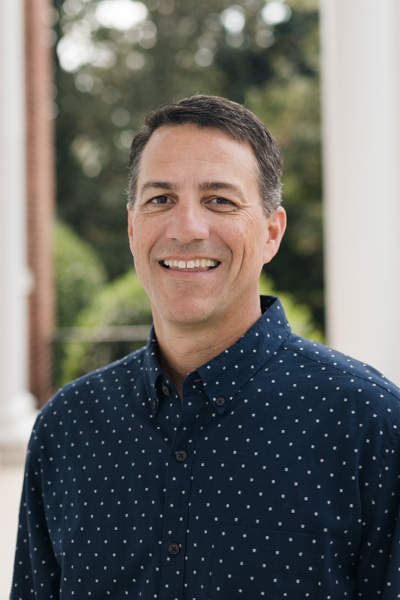 Some of his publications include Preaching by the Book, Pastoral Theology co-authored with Daniel Akin, and Student Ministry by the Book co-authored with Ed Newton. He also has a forthcoming volume, Colossians-Philemon, in the Christ-Centered Exposition Commentary series. A native of North Carolina, Dr. Pace holds a bachelor’s degree in accounting from North Carolina State University (1997). He received his Master of Divinity degree from Southeastern Baptist Theological Seminary in 2002 and earned his Ph.D. in Applied Theology from the seminary in 2007. Prior to his vocational calling, Scott served in the corporate world as an accountant and the private sector as a business manager. Scott’s greatest passion is for his family. He and his wife, Dana, have been married since 1999. They have four children – Gracelyn, Tyler, and Tessa, and Cassie.